Donald Trump wants to pull the US out of the NATO. At least, that is the story as outlined in a recent New York Times hit piece. According to ‘senior White House officials’ (they aren’t named, of course), Trump has said privately that he does not see the point of the organization and that it is a drain on the United States. And as to why a withdrawal of the US would be a problem The Gray Lady goes on to state that such a move “…could embolden Russia for decades”. And there we have it – the threat of the Russian bear breathing down the necks of Europeans and threatening American interests. But what is the truth about NATO? Is it relevant? Does it promote security? Does it make Europe or the wider world a safer place? And horror of horrors: Could Trump be right? NATO is an active and leading contributor to peace and security on the international stage. It promotes democratic values and is committed to the peaceful resolution of disputes. However, if diplomatic efforts fail, it has the military capacity to undertake crisis management operations alone or in cooperation with other countries and international organisations. formalized the multinational pact that was built on the foundation of American foreign policy created by the Truman Doctrine [see site], which implied American support for nations threatened by Soviet communism. Shedding its longstanding tradition of isolationism, the U.S. formally tied its safety and security to that of Europe for the first time. The wording of the quote is interesting for several reasons, noting the words ‘multinational’, ‘American foreign policy’, ‘Soviet communism’ and ‘isolationism’. The factor of isolationism will become more important when we look at Trump. What we have with NATO, then, is that it is an instrument of American foreign policy which was aimed at countering Soviet communism. The latter fell apart in 1991, thus rendering the original purpose of NATO defunct. Why is it still a going concern, then? That reason lies in the word, ‘multinational’. In its original meaning it referred to alliances, but it has morphed over the years to be more connected with corporations. Since it is a chart for an alliance, the 11th house is of particular importance. Ruled by Mercury, the aspects and midpoints to Mercury are quite descriptive of the alliance. Mercury makes a trine to Jupiter, giving NATO its expansive alliances and reach. Mercury is quite strong, too, being in one of the signs it rules – Virgo in this case. And, it is placed in the 11th house, the house it rules. So far, so good. 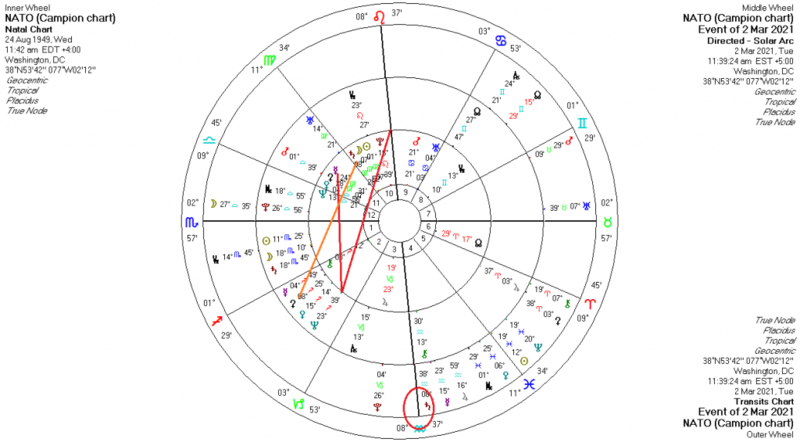 The first midpoint, Mercury=Sun/Node further complements the general placement and aspects to Mercury, further adding associations with young people (most soldiers are young men), the desire to exchange ideas with others and business contacts. The latter will be important later. But then the midpoints start to get more to the darker side of NATO. The next midpoint, Mercury=Pluto/Ascendant, points toward the urge to dominate people’s minds, the power of suggestion and hypnosis, taking these interpretations from Ebertin’s work. When it comes to mundane astrology Ebertin is normally quite accurate as to meaning. And then we have Mercury=Uranus/Vertex. The Vertex is the intersection of the prime vertical with the ecliptic. It gives insights into greater realities and as such is a transcendent point. It has also been indicated in fated or destined encounters with others. It can be considered as a type of horizon. But in terms of alliances and fated encounters, this midpoint assumes a greater importance than usual. It gives a tendency to interfere in everything, to criticize, but also contributes to technological advances, giving the ability to summarize situations quickly and good organizational powers. Moving on to the other main points in the chart, we find Scorpio rising, giving the warlike flavor to the alliance, with a passing new moon in Virgo conjunct Saturn, giving the intensive focus and conservative leaning of the alliance, as well as its projected sense of insecurity. Given the fact that it is the most powerful military alliance on the planet, such insecurity would appear to be misplaced. But this also reflects the attitude of its most powerful member, the United States, which is constantly harping on security matters and is guarding its security interests possessively. The double Virgo emphasis along with the conjunction of Saturn gives a real interest in preserving the existing order, of playing by the rules (NATO’s rules, of course), but it also points to major flaws in grand undertakings, which will become apparent when we look at the wars it has fought. This combination does not give executive leanings, but instead tends toward a quiet, introspective life – at least it would with an individual. However, that combination is also sextile Uranus, which gives original thinking, longevity and further interests in technology, as well as great independence. 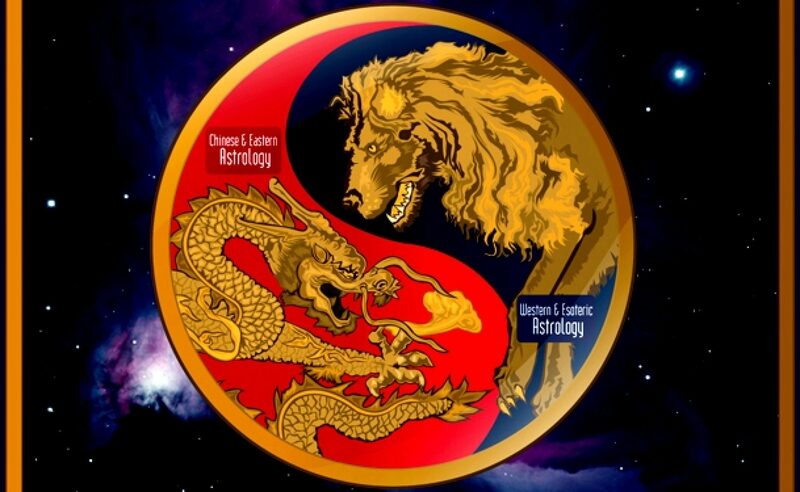 With Scorpio rising, aspects and midpoints to Pluto become more important, and especially since it is a military alliance. 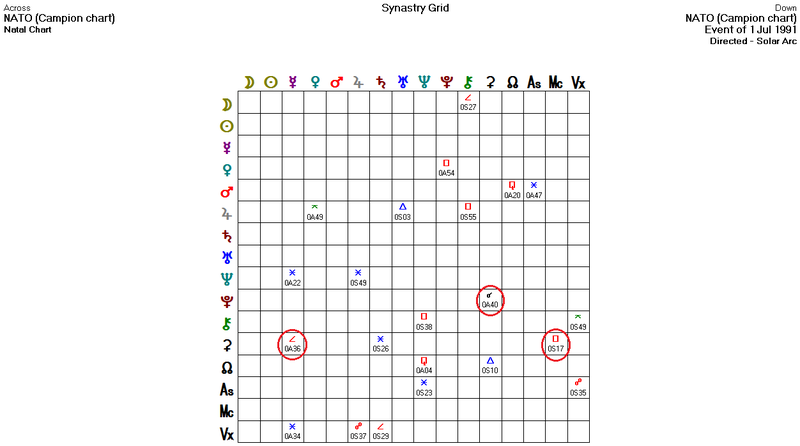 Pluto receives no aspects in the chart, but is placed elevated in the 10th house. The midpoints show the ability to put forward immense efforts, fearlessness in attaining objectives, but also violent changes, separations and restrictions. 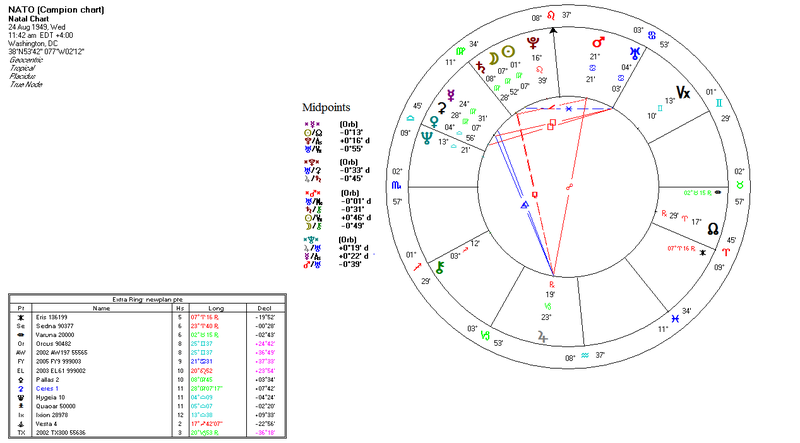 The midpoint with Uranus and Ceres points to sudden changes in destiny, turning points in the destiny of the alliance and possible self-sabotage. And since NATO is a military alliance, we cannot go past looking at the aspects and midpoints to Mars. Mars is opposite Jupiter across the 3rd/9th house axis, showing the international flavor and the tendency to project its power outside of its home regions. It also indicates risk-taking and immoderate behavior, along with the tendency to push things too far too fast and to not know when to quit. This is exacerbated by the semisquare Mars makes to the Moon/Saturn conjunction, which lends a note of hubris and poor decision-making, leading to spectacular falls. It is worth noting, before we go on, that NATO is composed of nations that are ex-colonial, ex-imperial powers for the most part. They bring that legacy into the alliance. It was originally formed as a hedge against Soviet influence in Europe, as well as to keep Europe in line – to “…keep the Americans in, the Russians out and the Germans down”. A turning point came for NATO on 1 Jul 1991 when the Warsaw Pact dissolved, which followed quickly on the dissolution of the Soviet Union. Technically, this indicated that NATO was no longer needed, as the Soviet threat, for which is was created, was removed. That turning point was indicated astrologically by directions (chart) to and from Ceres. Given all this, what has NATO’s behavior been since the end of the Cold War and Soviet influence? To answer that it is helpful to look at how its actions have been portrayed in the mainstream press, and then to look beneath the surface to get closer to the truth. With Scorpio rising, getting below the surface is quite important, and an examination of the following points will lead to discussion of another set of midpoints. The real reason: To break up what was otherwise a strong, progressive soft socialist state with good public welfare and create independent states beholden to ‘free market’ (IMF, WTO) rules. The 1st Gulf War: 1990/1 Stated reason: to expel Iraq from Kuwait and stop Iraqi ‘expansionism’. Real reason: Iraq had invaded Kuwait for non-payment of war debts from the Iran-Iraq war, in which Kuwait had helped Iraq. Kuwait was being used by the West to tank the cost of oil in order to cripple the USSR and Iran after the Iran-Iraq war. The stories of Iraqi atrocities were fake. The Kuwaiti oil machine had to be restored. The Iraq War: 2003 to 2011 Stated reason: to ‘liberate’ Iraq, bring ‘democracy’ to Iraq and to eliminate weapons of mass destruction (there weren’t any). Real reason: to control the oil fields and to stop Iraqi trade for oil in euros instead of dollars. It was about dollar dominance and control of the world’s oil supply. The real reason: Its geostrategic importance. It is the choke point to the Gulf of Aden and thus to the Suez Canal. Neptune=Mars/Uranus: cunning and deceitfulness, a low and mean way of acting, the desire to hurt others, a person with bad intentions (or in this case, an organization). It also can indicate raving madness and even car wrecks. Why Neptune? Neptune is not aspected in the chart, except for a decile (semi-quintile or 36°) to Saturn. It is in the 12th house, though, which rules hidden enemies of the state, organized crime, sabotage, institutions, subversion, covert operations, cabals, secret agents and organizations, etc. But Neptune in the chart of a military alliance governs what we otherwise call ‘spin’. It also rules all of the following: navies and naval people, the national obsession, oil, scandals, chemists, confidence men, covert operatives, disappearances, democracy (strange, yes? ), fantasy and escapes, exports, hydroelectric power, drugs in general, instability, mobs and mob psychology, prisons, secret societies and agents, higher spiritual powers, psychics, treachery, surveillance (covert) and invasion of privacy. That’s not a small thing in a chart like this one. Neptune is the spin doctor of the zodiac. The general public is normally averse to war and they need a solid, usually gut-wrenching reason to do so. So, in the lead-up to any war one will see stories appearing in media outlets and newspapers (like The Gray Lady, for instance) as to why we should hate this or that country or person, how they are doing terrible things, usually to civilians, how undemocratic they are, why we should be concerned, and on and on. It’s called ‘manufacturing consent’, to use Noam Chomsky’s term. In other words, the idea is to build a strong enough emotional consensus in a public to make them want to support a war, and that was done by the major news outlets in every one of the interventions listed above. What we have with NATO is a protection racket by any other name. It is the use of force to protect largely American corporate interests and international Big Oil, a vehicle to sell arms to the Europeans and other NATO members. It uses the other member states to fight its wars, all the while complaining that they do not pay their fair share. The recent stoush with Turkey over the purchase of the Russian S-400 missile system is a case in point. Turkey went ahead with the deal, but it also eventually relented and bought a US Patriot missile system as well. Successive US administrations have said time and again they do not think the other member states pay enough, when in fact they face no military threat. The Europeans, for their part, could do quite well without NATO and save themselves a pile of cash. And if the US were to pullout of NATO it would likely bring quite a bit of sanity back to European thinking, especially with regard to Russia. Maybe so. Why, then, would the NYT write such a piece about Trump, knowing what we know now about NATO and its interventions, when in fact Trump is more likely than not correct in his assertions? The so-called ‘liberal’ news outlets in the US like the NYT, Washington Post and so forth have all been pretty much anti-Trump since he assumed office. They had conniptions about Khashoggi, about the Syria pullout, about his meetings with ‘little Rocket Man’ and Putin, for examples, talking about ‘adults in the room and so forth, but praised him as being ‘presidential’ when he ordered the bombing Syria a couple of times. What we are more likely seeing with the NYT article cited at the start of this piece is the beginning of manufacturing consent to use the 25th Amendment of the US constitution to get rid of Trump on the basis that he is unfit to lead the US and that he poses a ‘national security risk’. We’ll see. Watch for the little pieces of that growing puzzle to fall into place in the weeks and months ahead. With the world economy looking increasingly shaky, with the European banking sector standing at the edge of a precipice and with US debt at wholly unsustainable levels the US and Europeans may actually find after a time that they have to go their separate ways. The Europeans are not likely to cough up any more appreciable defense spending in support of NATO, given their current financial woes. If the US economy goes first – and the world would follow – it might be game over for NATO anyway. 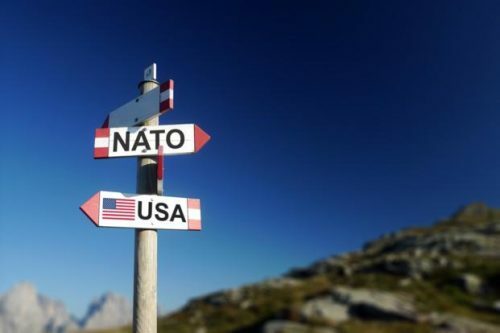 Given that it is primarily geared toward the military-industrial complex in the US, any hits to that sector of the US economy will place strains on the NATO alliances. And what does the astrology for NATO show in the next years (chart for 2021 below, bigger)? Transiting Uranus will be on the NATO Descendant in 2019 off and on and then passing to the square of the meridian axis over the next couple of years. A crisis is brewing there. Another crisis is indicated by the conjunction of Saturn and Pluto opposite the NATO Mars at the start of next year. Another crisis, and related to foreign policy, too. Saturn will then cross the NATO IC in 2021 as it did in 1991/2 (Balkan region and 1st Gulf War). Chickens coming home to roost, maybe? Through that same period, Neptune will be making solar arcs/directions to the NATO Mercury and Midheaven, along with Jupiter, Saturn and the Moon to the NATO Uranus. Those Neptune directions also mean that the aforementioned midpoints are also affecting those places. There is also a direction of Ceres to the NATO Saturn then as well – another turning point. So, we’ll see. It is not going to be an easy period for the organization. Expect to see heavy spin in play through the period, with news of ‘heightened threat levels’, ‘instability’ and the need for strengthening the alliance. And if Trump is in office in 2021? It’s anyone’s guess, then! Thanks Sam. Yes, we’re actually rated as a ‘flawed democracy’, with a rating of 7 –8 out of 10. Of course, we could also argue the US is an oligarchy and so forth. ‘Flawed’ is a safe term, I think. But the quote from Bailey is apt. We do indeed suffer under the influence of the corporate-political melding we so often hear of as the military-industrial-intelligence complex. It has become much worse since the Clinton years, but really started with the neo-liberal economics under Reagan. The timeline coincides roughly with the start of NATO interventions in the 1990s under Bush and then accelerated by successive administrations. The political party doesn’t matter. “Presidents change, policy remains”. We definitely need some overhauls in many areas, starting with teaching kids how to think instead if what to think. Previous PostPrevious Theresa May’s day, or Mayday! ?